Unless you are the nerdiest of political nerds, before May 2017 you probably hadn't spent much time thinking about who would be the next speaker in B.C. 's Legislature. B.C. 's legislature is expected to be called back sometime in June. Let's be honest: unless you are the nerdiest of political nerds, before May 2017 you probably hadn't spent more than 10 minutes thinking about who would be the next Speaker in B.C. 's Legislature. But today, it's a question that could determine whether British Columbians have a stable government, a government flouting constitutional convention on a regular basis, or a government unable to pass any legislation — resulting in another election. It's still not clear to me how the BC legislature is going to elect a Speaker. And that seems important. 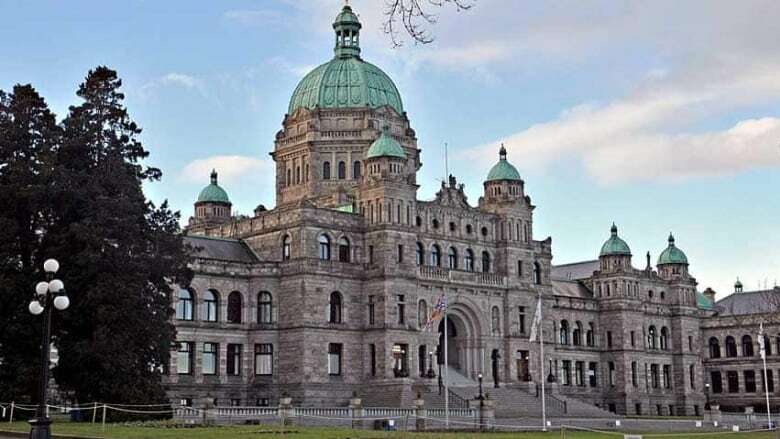 To start with, Christy Clark is still the premier, and because she asked the lieutenant-governor to dissolve the legislature before the election, it needs to be reconvened for a new session with the newly sworn-in MLAs. The public generally thinks the first thing done in a legislative session is a new throne speech: one that is voted on, and one that, in this case, Christy Clark says she expects to lose. Before that happens, though, a Speaker must be elected from all MLAs who put their name forward for the role. But what if nobody does so? What if every Liberal MLA decides against it, because they know doing so would then mean 42 of them compared to 44 NDP and Green MLAs? What if every NDP and Green MLA also decides against it, because they know doing so would result in a 43-43 tie? "No other business can be conducted in the absence of that Speaker," said Philippe Lagassé, a Carleton University professor who specializes in Canada's Westminster parliamentary system of government. In Newfoundland in 1908, an immediate second election was needed because no one agreed to become Speaker — but Lagassé believes that won't be the case here. "My guess is it's in the lieutenant-governor's best interest to really convince the parties to try and find a solution to the Speaker's issue," he said. "Even if she is unable to convince Premier Clark to put forward one of the Liberal MLAs, my guess is that faced with the option of putting forward one of their own members or another election, that the NDP and Greens would ultimately decide to put one of their members forward." What will the NDP and Liberals do? A date hasn't been set yet to reconvene the legislature, though Clark said she expected to do so sometime in June. At this point, neither party is publicly speculating on how they might resolve the situation. "The members have not been sworn in. That decision will be made in the fullness of time. I'm hopeful that the current government is going to call back the legislature at an early opportunity," said NDP leader John Horgan. An NDP Speaker breaking ties for the party? If a Liberal MLA decides they want to be Speaker, it would remove much of the uncertainty. But if it ends up being an NDP or Green Speaker, under parliamentary convention they would vote to continue debate and maintain the status quo — which means they would vote to keep the government in power, but against any non-confidence motions. "It is not a matter of law. It is a political rule that can't be enforced by the courts, that simply has to be accepted by political actors in order to ensure the proper functioning of the constitution," said Lagassé. There's nothing stopping an NDP Speaker from voting in favour of a Liberal non-confidence motion when the house reconvenes. And after that, there's nothing stopping an NDP Speaker from breaking ties in favour of an NDP government — except for their own personality quirks, or fear of blowback in the next election. "We always have to bear in mind that we're dealing with idiosyncratic personalities. So who knows how they're going to do, and who's advising them, and how they think of their role. That plays a big part in this too," said Lagassé. "This is not exactly a common situation in B.C." Which, in an uncertain political environment, is about the only thing that can be said for certain.